Pancake Breakfast! Saturday April 6th, 2019 we are hosting a pancake breakfast and a visit from Sparky from the Cramahe Fire Department. Come and join us and bring the kids! See the flyer here --> Pancake Breakfast Flyer. 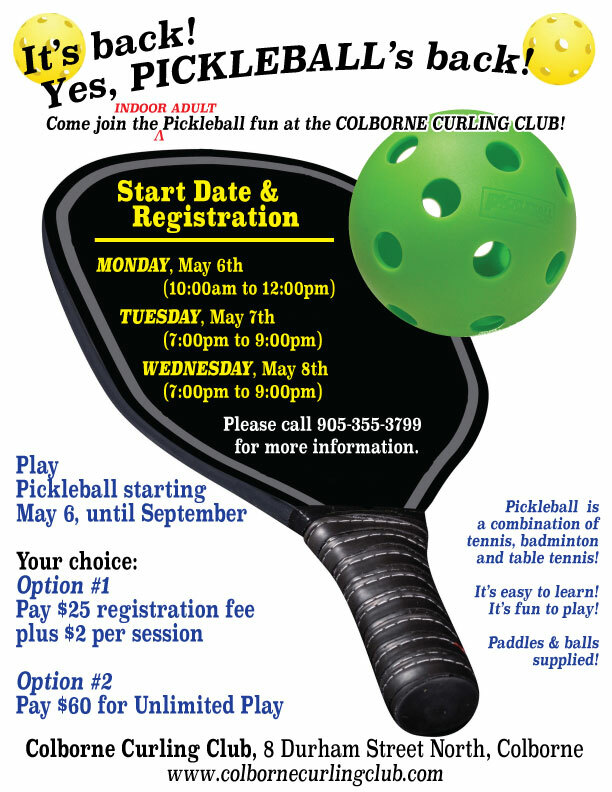 Pickleball is coming back! After the success of last year, we will be running Pickleball again this year. You can see the poster with details here --> Pickleball Poster. For those new to Pickleball, there are good introductory videos on YouTube to get you started. 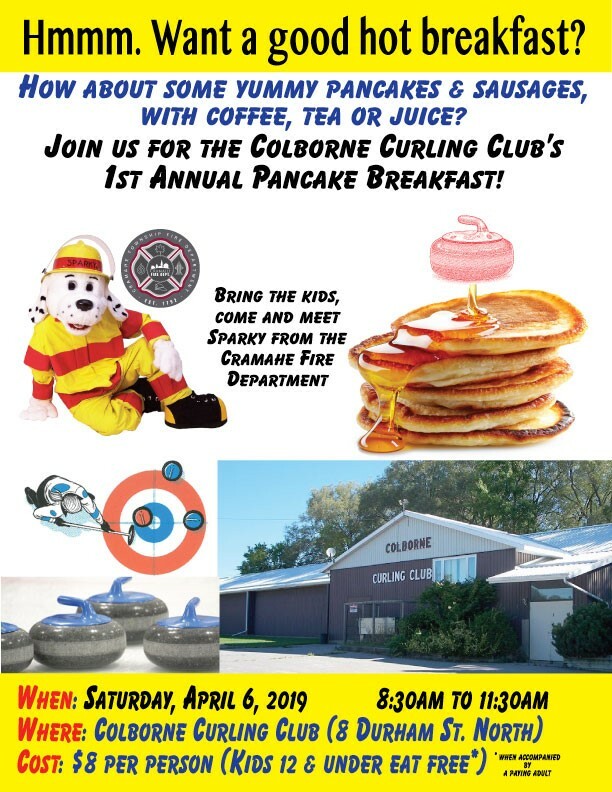 Colborne Rotary Club is running a charity bonspiel at the club on March 16th, 2019. We are looking at ways to bring new members “into the fold” and to bring back some experienced “old-timers”. 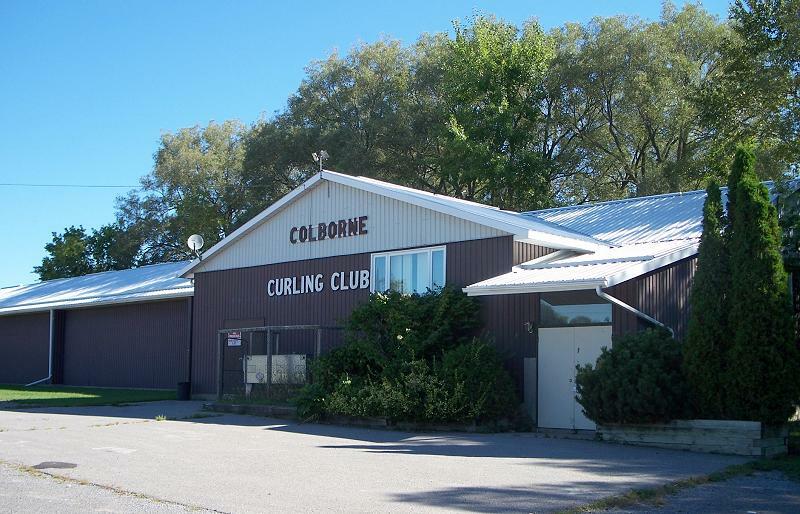 To this end we continue to provide a significantly reduced fee for new to Colborne curlers and former Colborne Curling Club members who have been away for at least 5 years. We have regular league play most days, and Family/Junior Curling on Sundays, 1 - 3 pm. Look through our website, then contact us by phone, or e-mail or just come along and see for yourself. An application form is on the Application Page for you to print out, fill in, and bring to the club. In 2013 we successfully applied for and received a grant from The Ontario Trillium Foundation. Details are available on the Trillium Page.